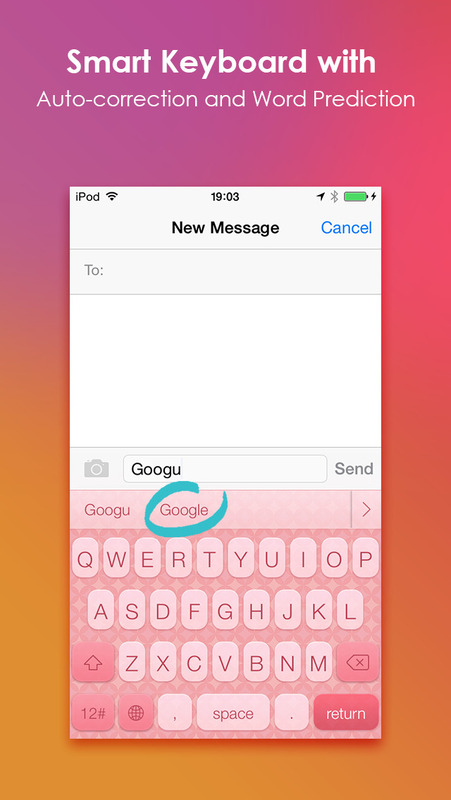 iKeyboard is a perfect 3rd Party keyboard for iOS 8 with precise word prediction and auto-correction. 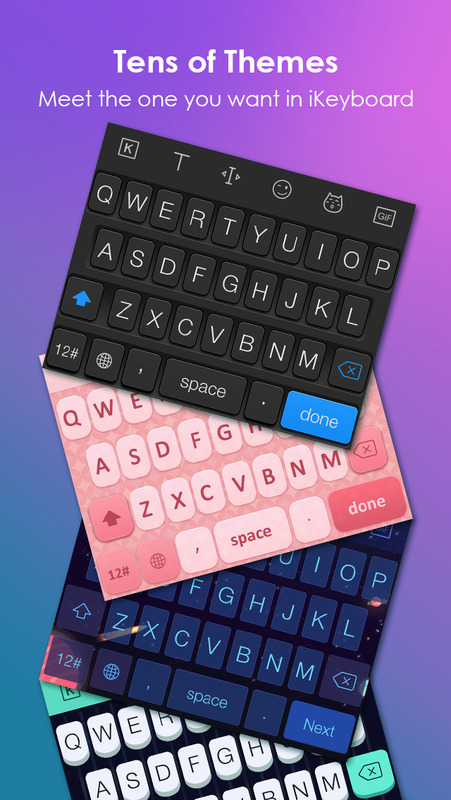 iKeyboard is also a colorful and personal keyboard with various GIFs, Fonts and Skins to express your personality. – Decoration with colorful themes, such as Typewriter，Pink，etc. More free themes are waiting for you online. 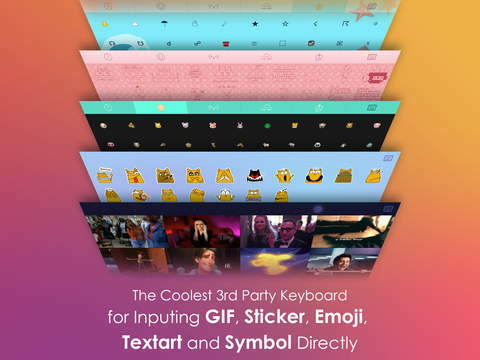 – 800+ Emojis, 500+ Emotions and 1000+ Symbols to type directly rather than copy&paste. We’ve got all you need. – GIFs make chatting more fascinating. – 108 Fonts to make your writings as cool as you are. 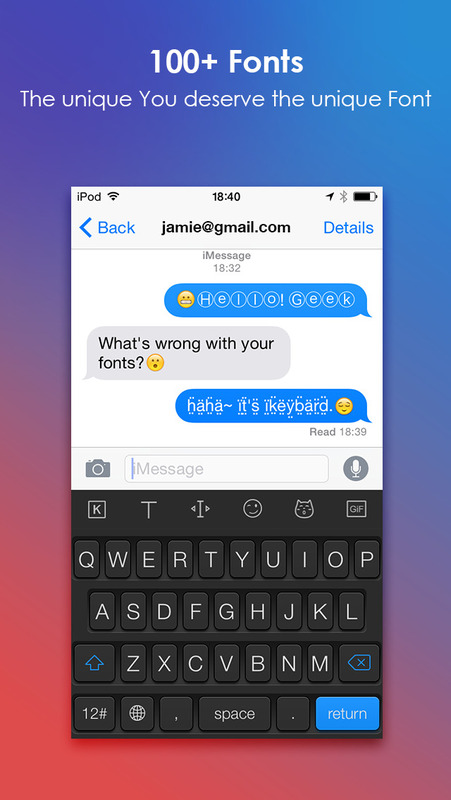 You can switch fonts on keyboard, just for your convenience. – A couple of dozen TextArts and Stickers with single-click typing. – Piano keyboard. 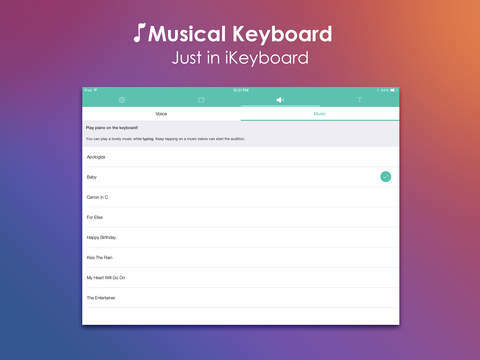 You can set your personal typing sound and play music like the real thing. – Natural Swipe Input will give you a better input experience over the keyboard. 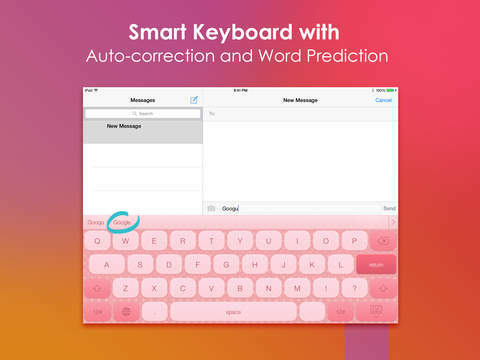 – Precise word prediction and auto-correction to double your efficiency. 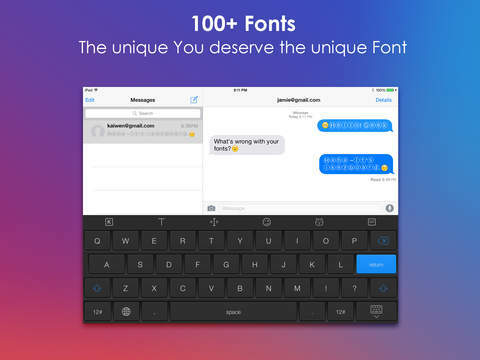 – iKeyboard can go with all apps on your device. Supported languages: English,French-FR- française,German-DE- Deutsch,Portuguese-PT-português,Spanish-ES- Español. Download iKeyboard now to enjoy this wonderful app and start a different social network with speed and fervor. – Keyboard speed is improved. – Higher accuracy of Swipe Input. – Higher accuracy of word association and auto correction.